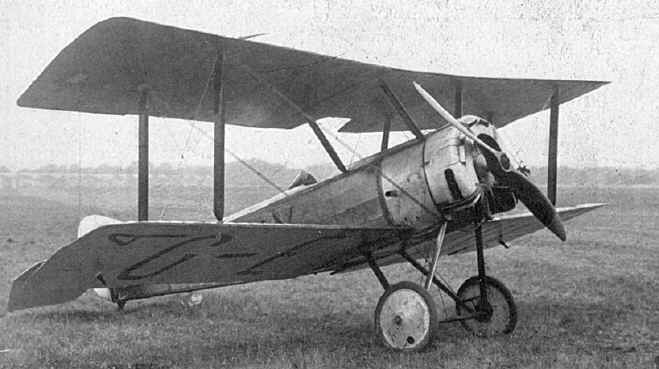 Comments: This is a rare original propeller manufactured by the British and Colonial (Bristol) factory for the Sopwith Pup using a 100 HP Gnome engine, first introduced in 1916. 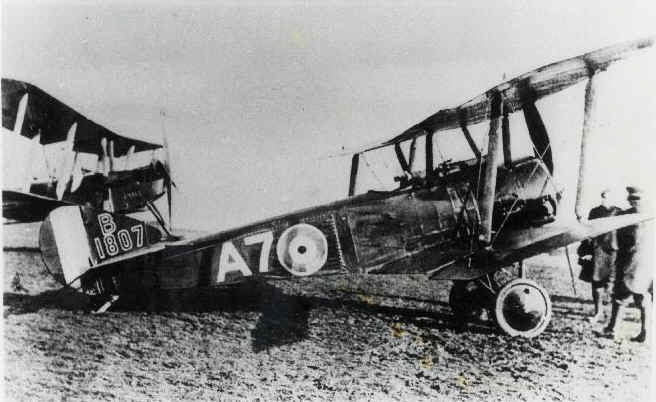 The Pup was a predecessor to the more famous Sopwith Camel, but was very similar in appearance and other characteristics. 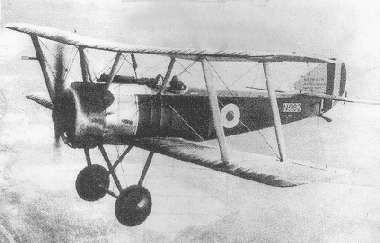 It was the first aircraft to be flown from an aircraft carrier (August, 1917), although its pilot was subsequently killed on his third landing when the aircraft went overboard. 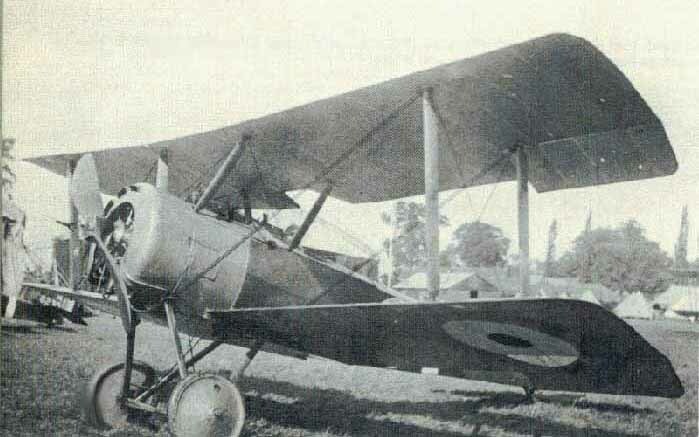 Other variants included an 80 HP LeRhone engine. 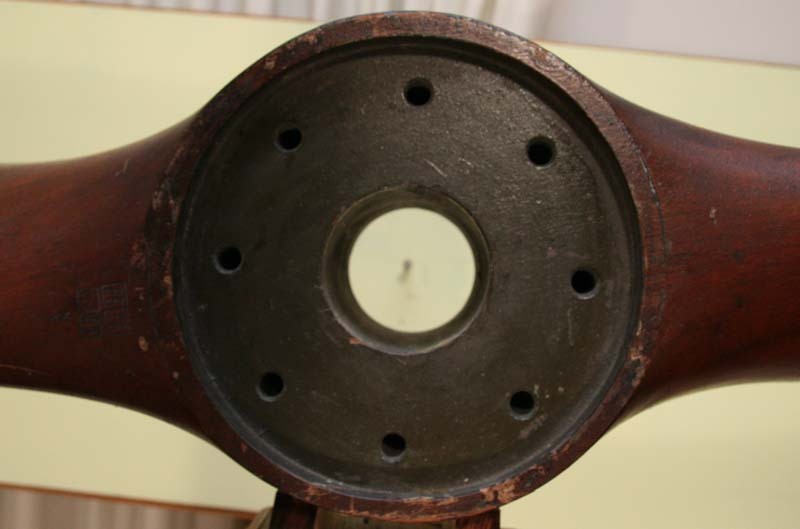 The stampings on the hub are typical for British manufactured propellers. 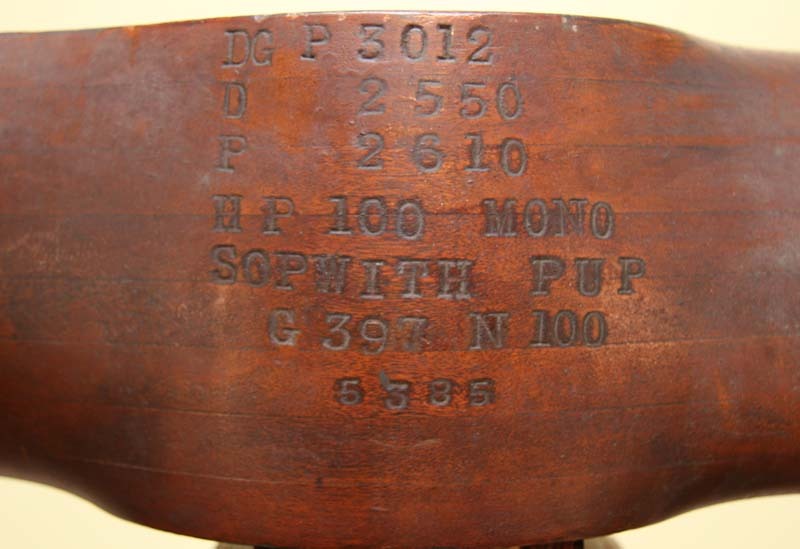 The "P" in the drawing number DG P3012 indicates teh Bristol and Colonial company, the "D" and "P" numbers refer to diameter and pitch in millimeters, the "Mono" refers to the Gnome Monosoupape engine, and the aircraft is stamped as such. 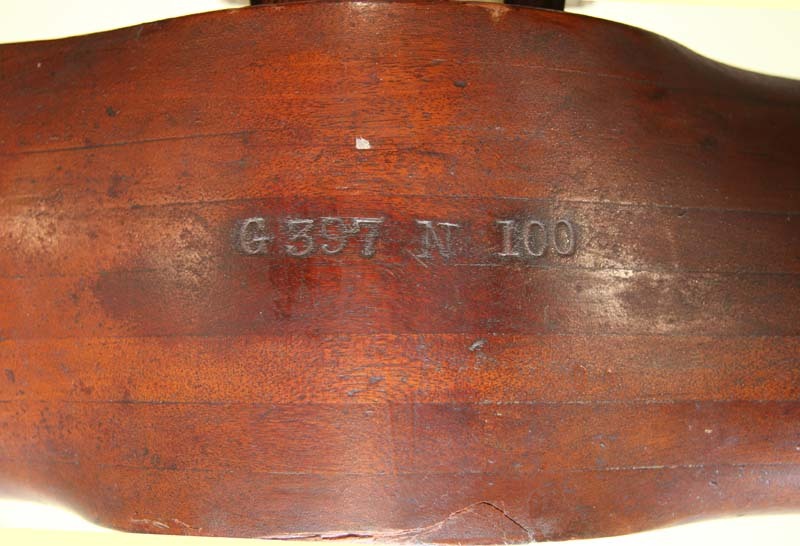 "G" and "N" numbers are common and indicate the production sequence. In addition, there are several "A.I.D" stampings which are inspection proofs of the Aeronautical Inspection Department. 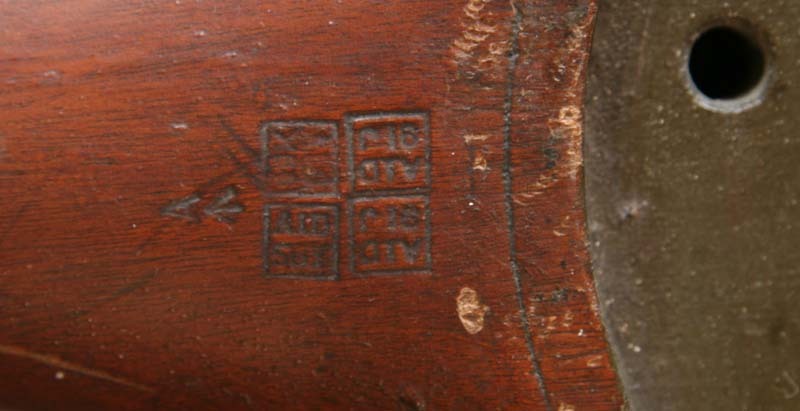 The small broad arrow next to the "A" indicates that the prop is of Government military ownership.